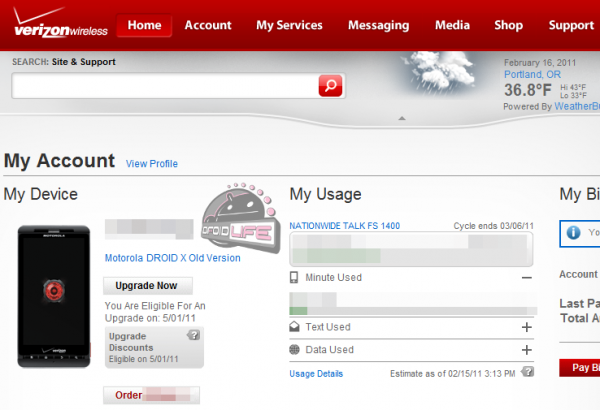 DROID X “Old Version” Appears in Verizon Accounts, What Does it Mean? The words “Motorola DROID X Old Version” are now appearing online in Verizon accounts across the country, leaving many of you wondering if this could have something to do with the DROID X2‘s imminent release. Sorry folks, but I think it actually has something to do with that pricing change from yesterday. If you happened to return to our post about the DX’s price drop to $149, you might have noticed an “Update 2” which talks about a change from the 16GB SD card that original adopters enjoyed to the measly 2GB card that is now included. Normally when a significant change like this happens to a device, a brand new SKU is introduced to inventory systems which we’re thinking has prompted the distinction for “old version” and new version. Of course, I could be totally wrong and this could have something to do with the DX2, but I’m sort of doubting it. Wednesday Poll: Adjust Tablet Plans After NVIDIA's Quad-core Announcement?